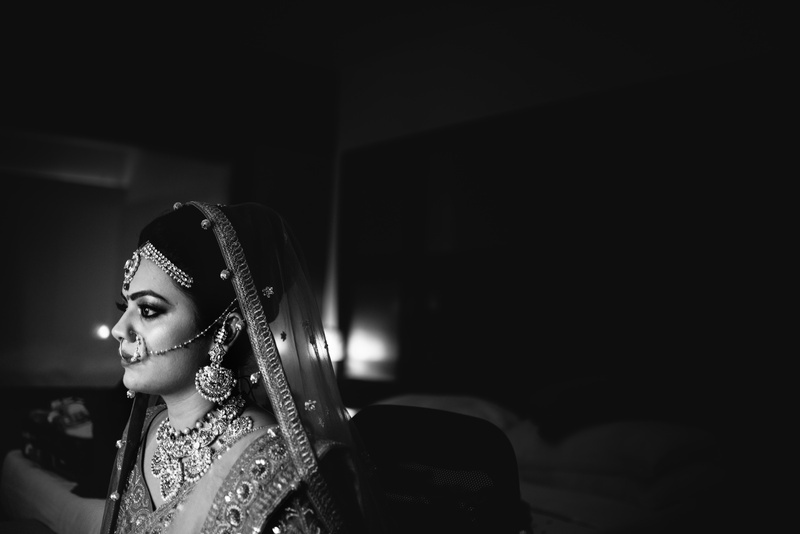 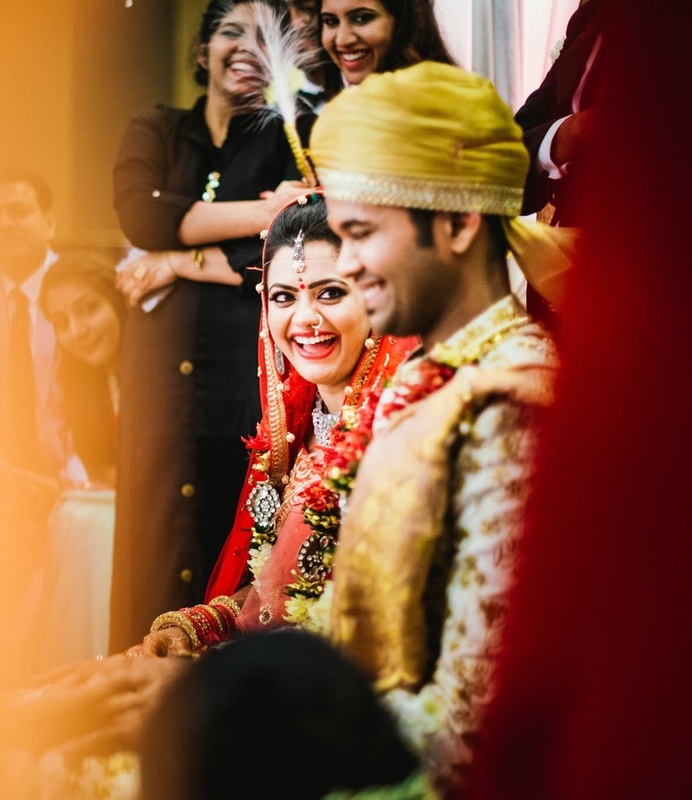 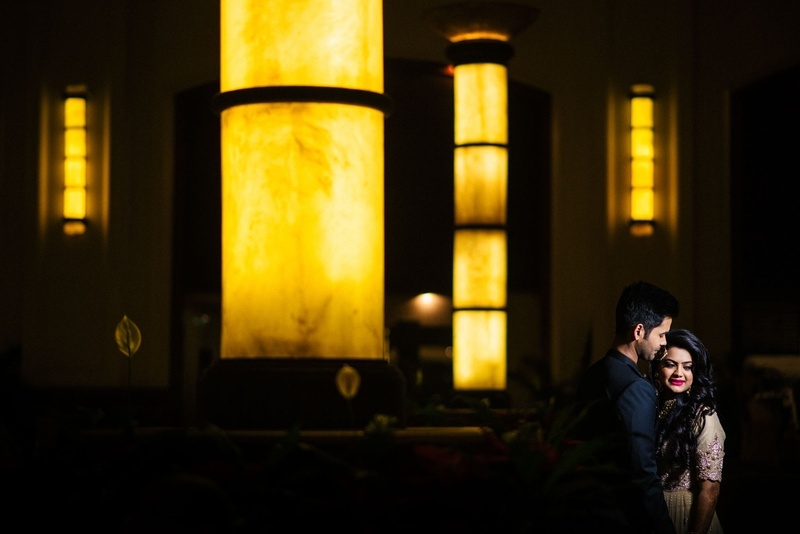 This cute couple got hitched at the Lalit hotel, Mumbai & their expressions are to die for! 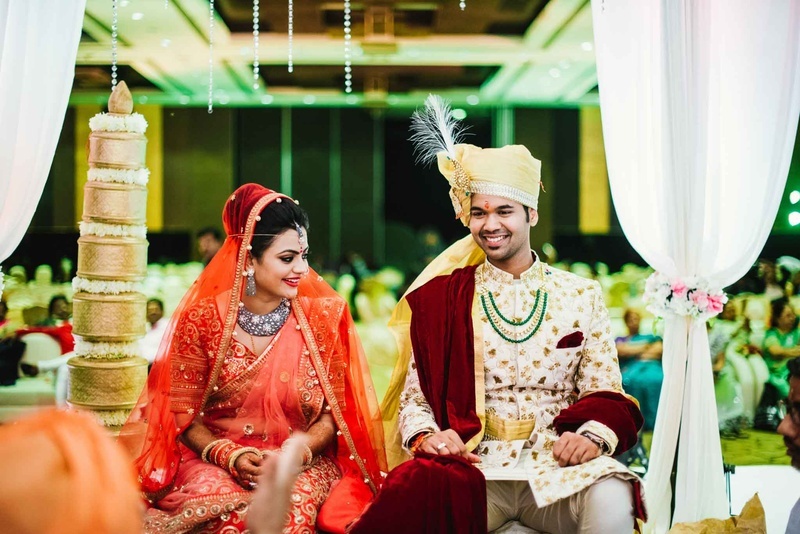 Our cute couple recently took their wedding vows in a beautiful wedding ceremony held at the Hotel Sahara Star, Mumbai. 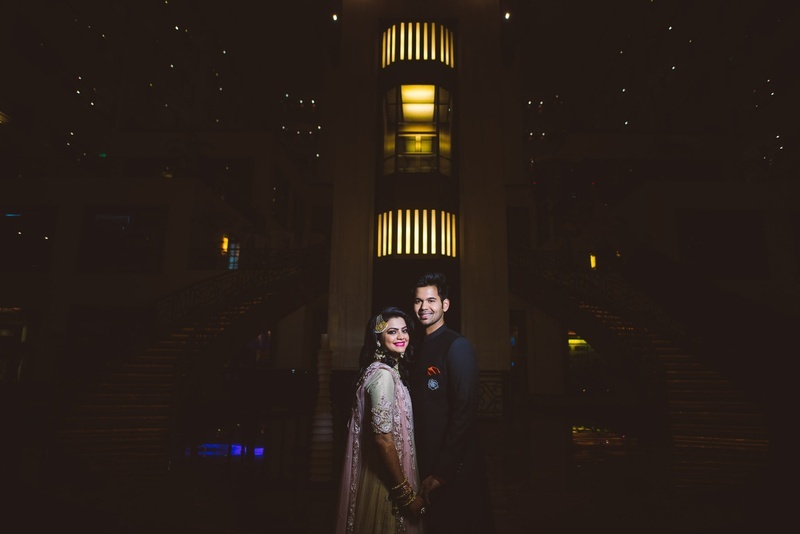 It was difficult for us to believe that two people, so perfect for eachother actually met through a common friend and got hitched in a gorgeous arranged marriage at the Hotel Sahara Star, Mumbai. 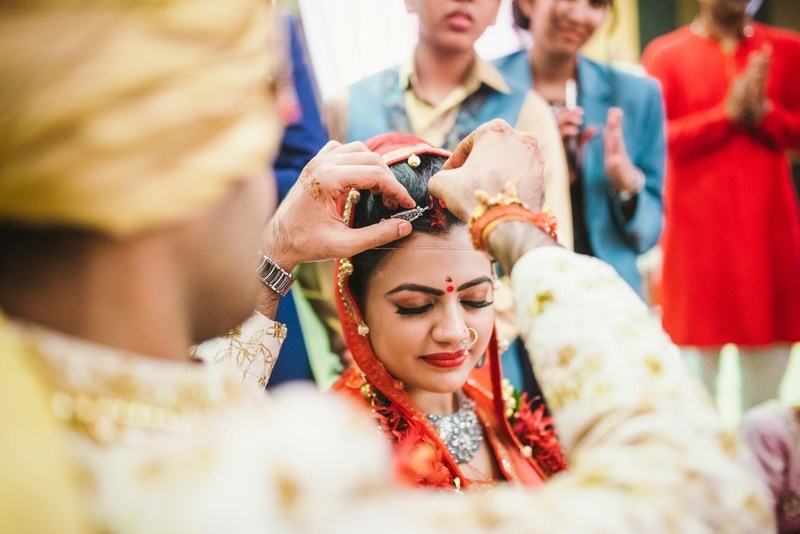 Rahul was in search for his better half and the first girl that he met was Ashna. 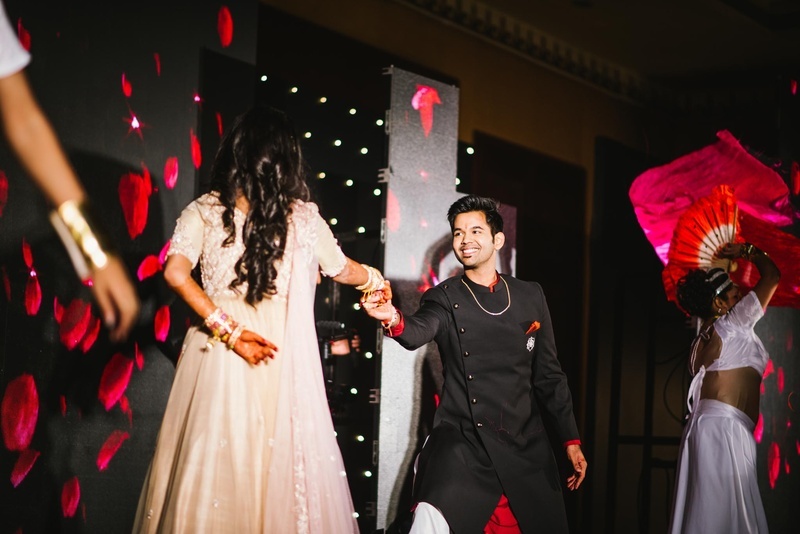 From the very moment that he saw Ashna, he knew she was the one! 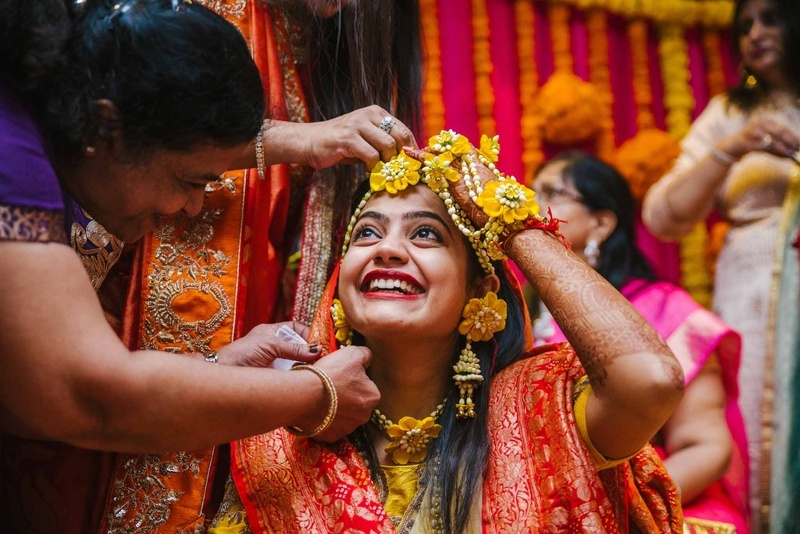 And without wasting any time, the couple tied the nuptial knot within two days. 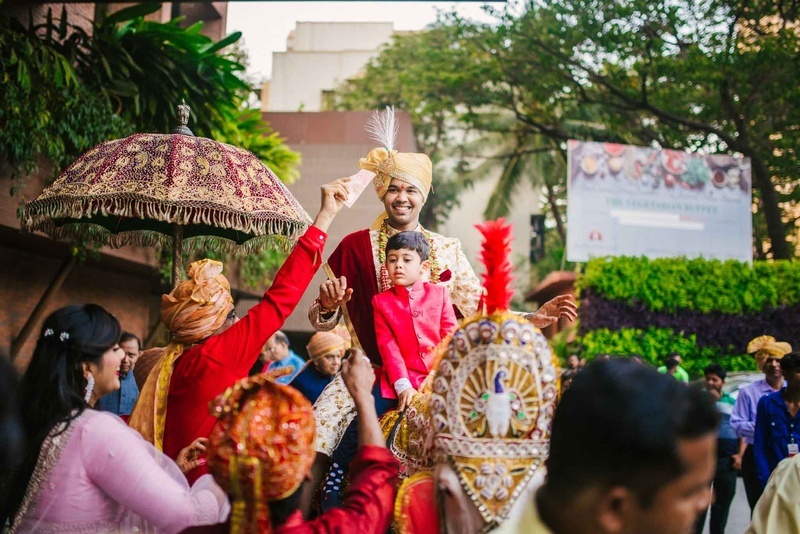 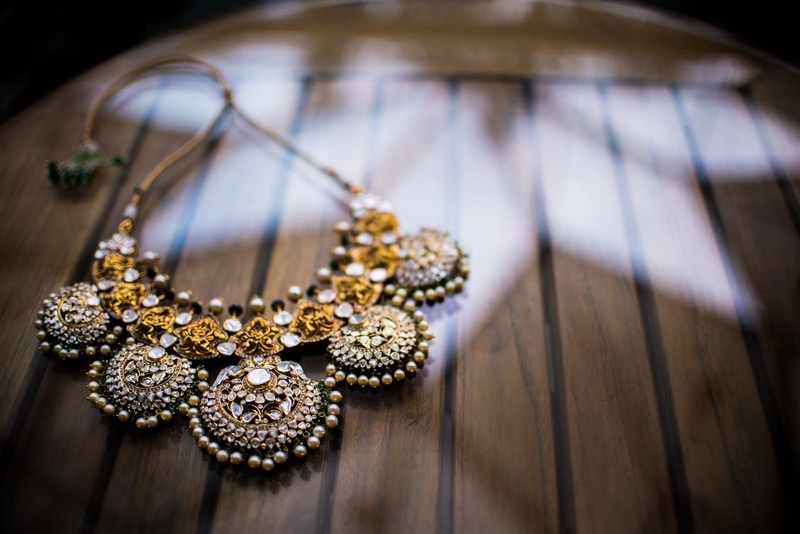 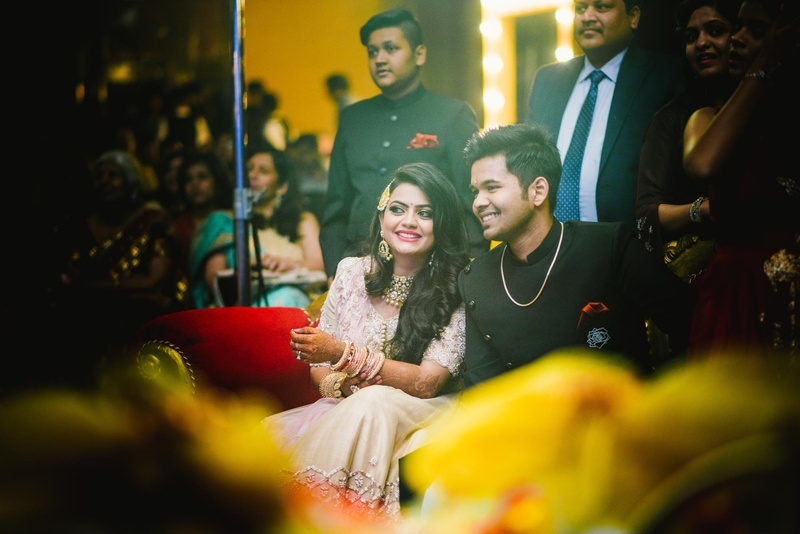 The beautiful ceremonies were entirely planned by the family members of the bride and groom and the Lalit Hotel, Mumbai left no stone unturned in making the wedding a gorgeous affair. 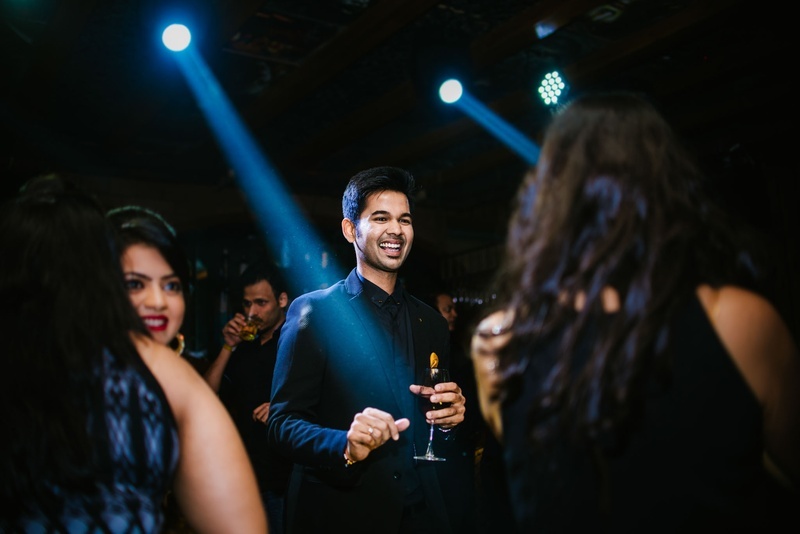 The wedding functions started with a black n gold themed cocktail night at Tap, Andheri followed by a traditional rajasthani themed mehendi function. 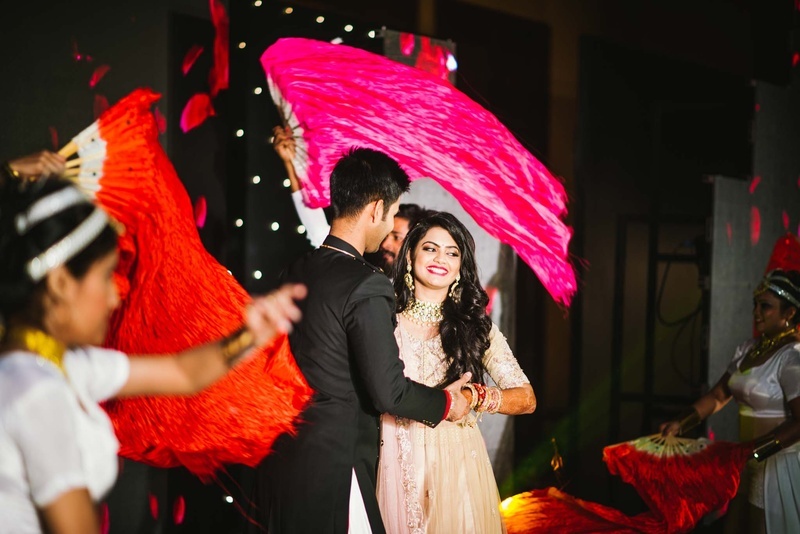 The grand sangeet at Lalit was what that came next and it had a theme decor of red and black with a split LED set up. 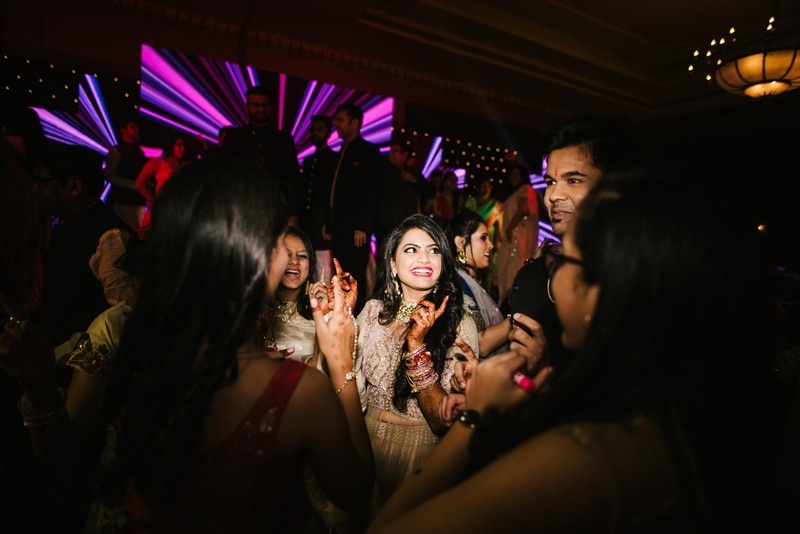 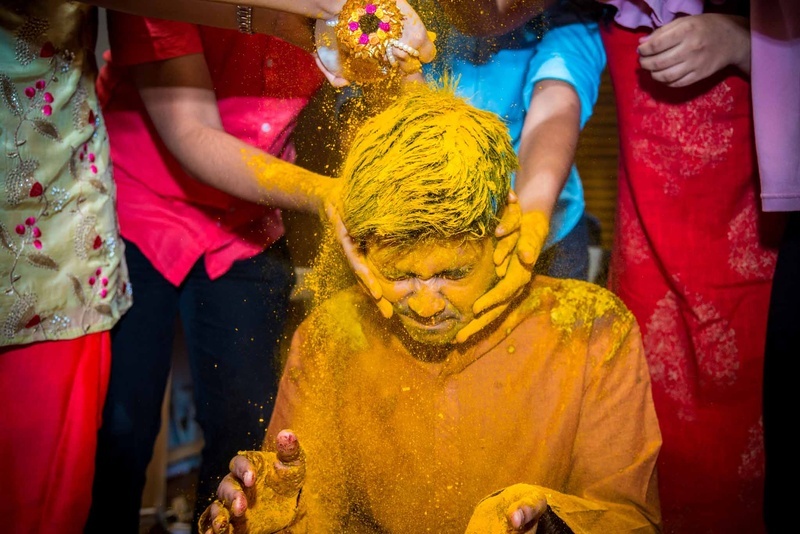 The theme of the function was 'finding a suitable bride for Rahul'. 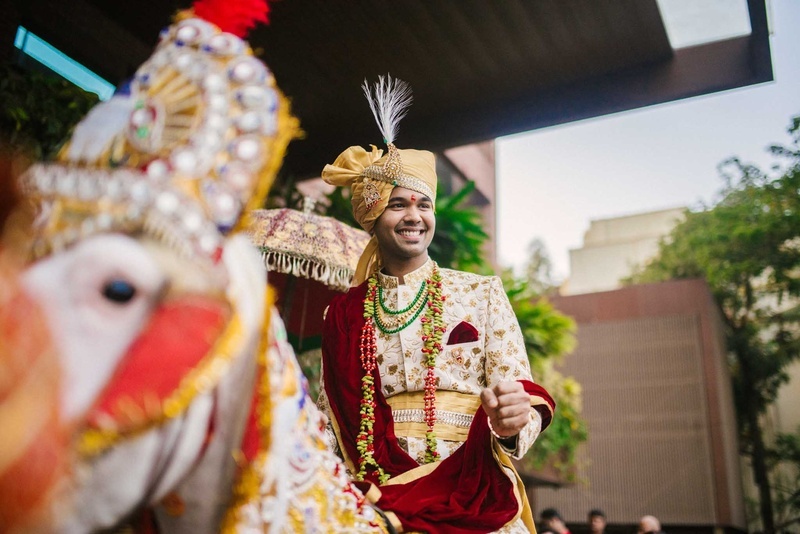 The wedding event started in the evening with the baraat procession at sahara star followed by a ‘Ram Sita’ themed Varmala. 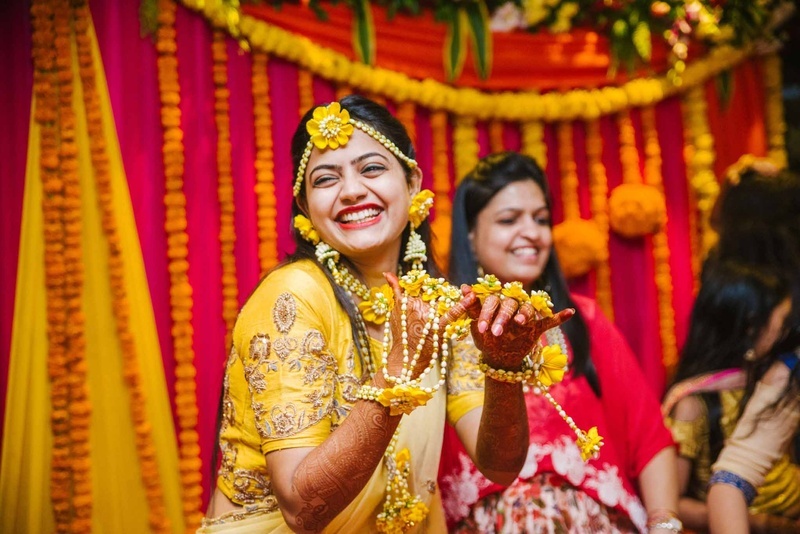 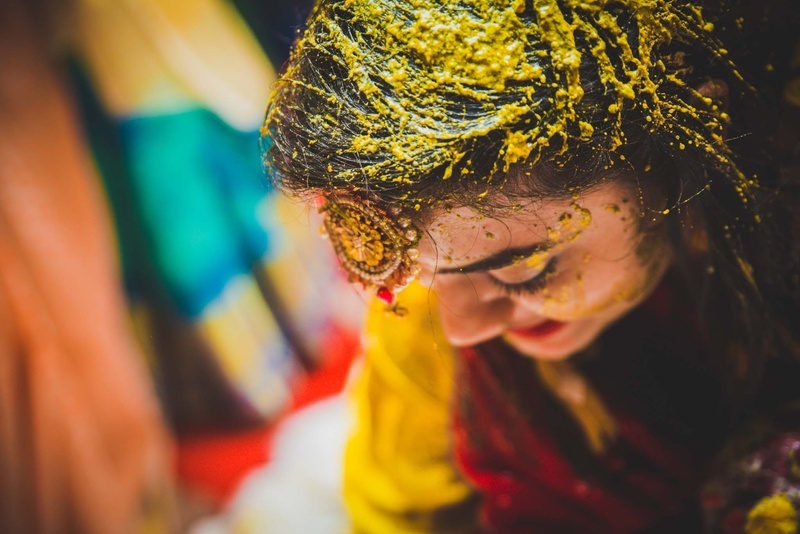 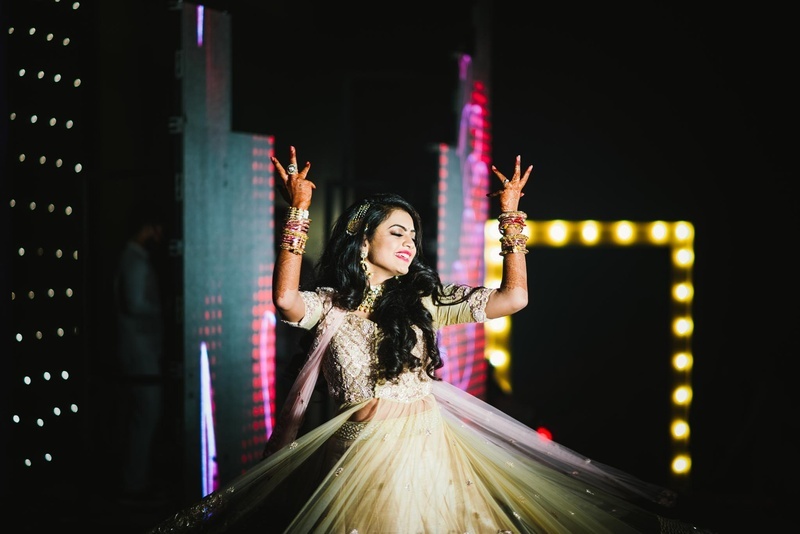 Ashana entered in a traditional doli with dancers dancing ahead of her. 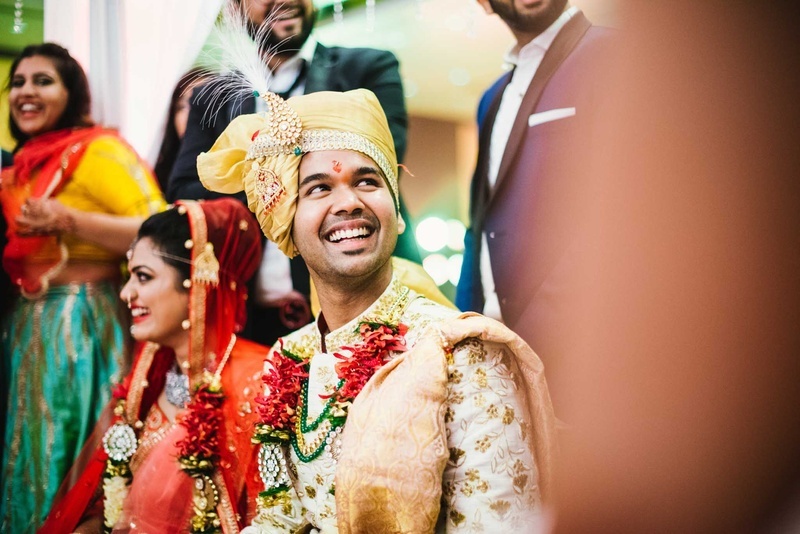 She was then hidden by the dancers and then our dapper groom Rahul entered on a chariot pulled by 2 men. 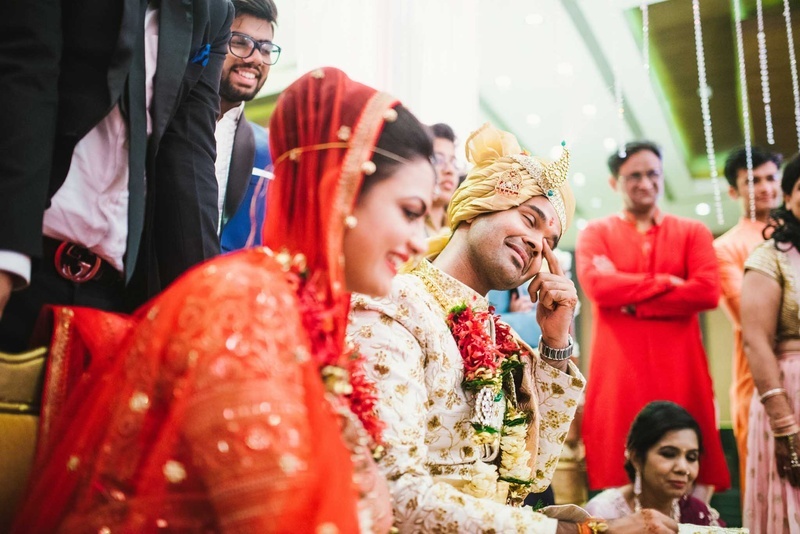 He came on the stage and broke the dhanush which indicated that he was successful in winning over the bride. 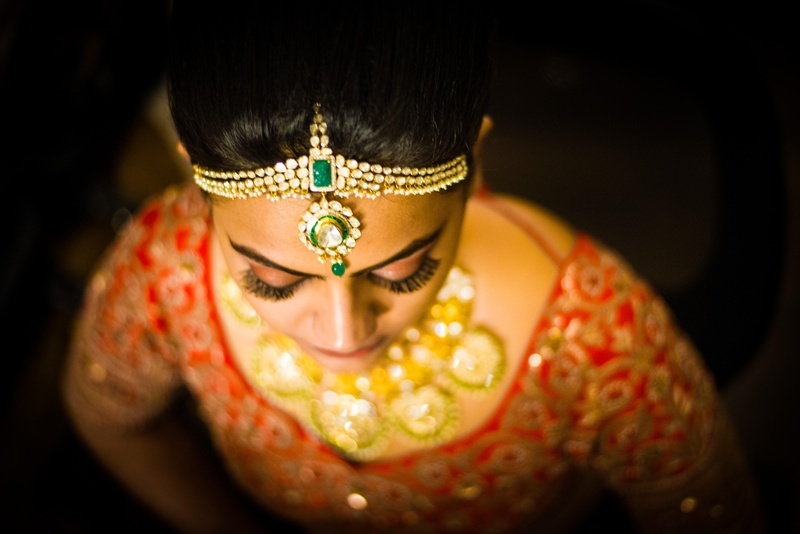 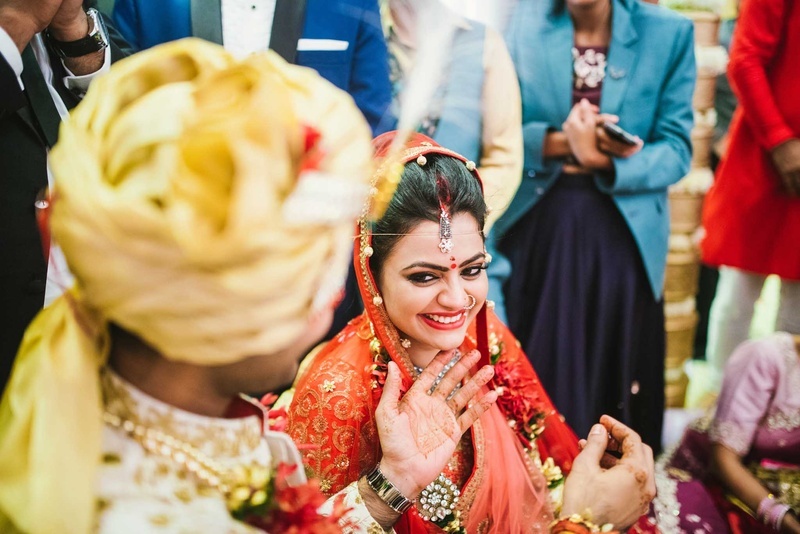 The bride looked like an absolute doll in a makeup done by Chandni Mohindra and a gorgeous orange lehenga from the house of Saroj Jalan while the groom ruled hearts in his wedding sherwani opted from Tisa Studios. 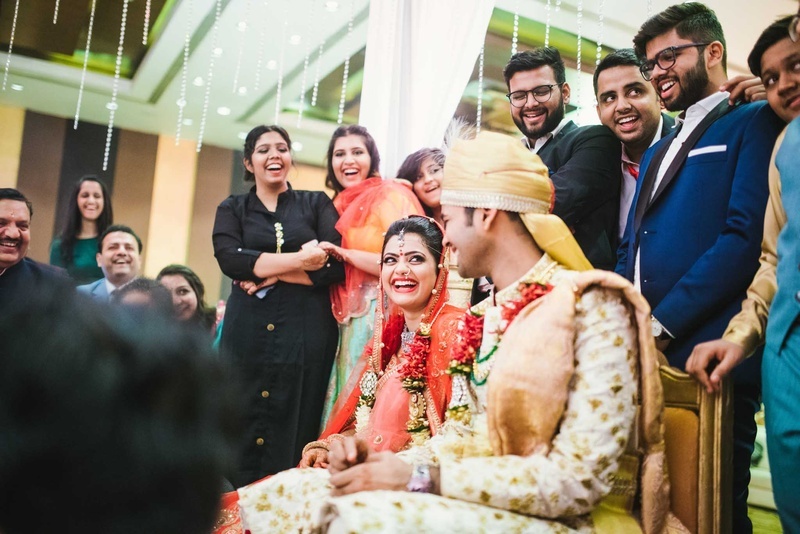 The entire wedding was planned like a dream and we totally and absolutely fell in love with it. 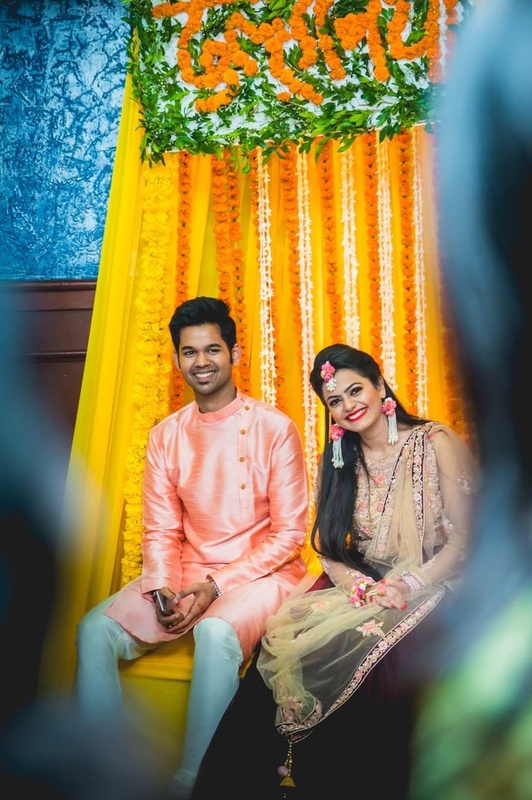 We wish the couple all the love and blessings for their future endeavours! 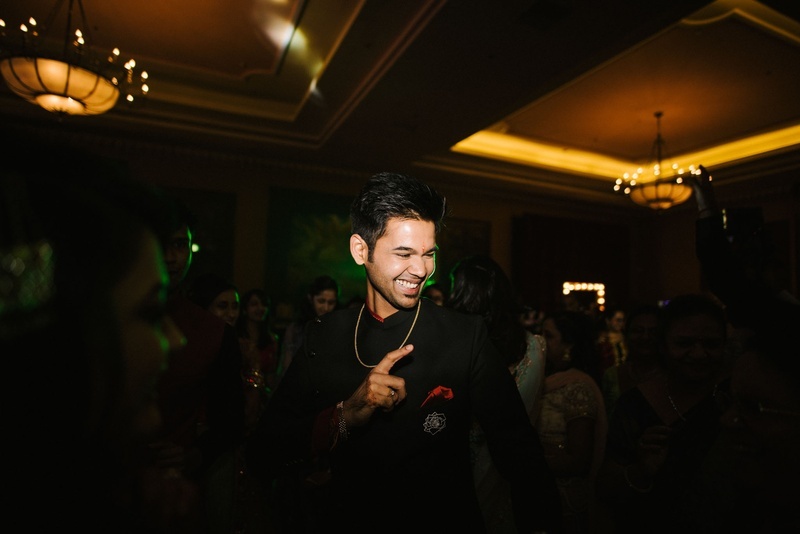 Groom having a fun time at the sangeet ceremony! 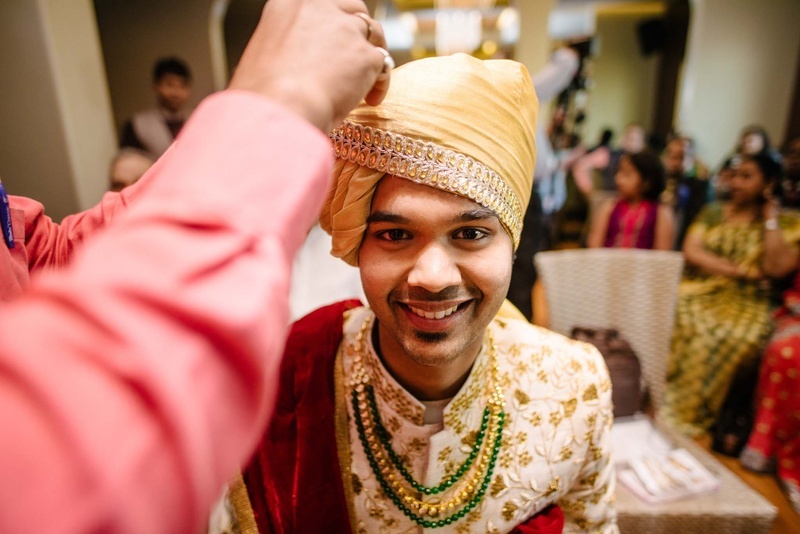 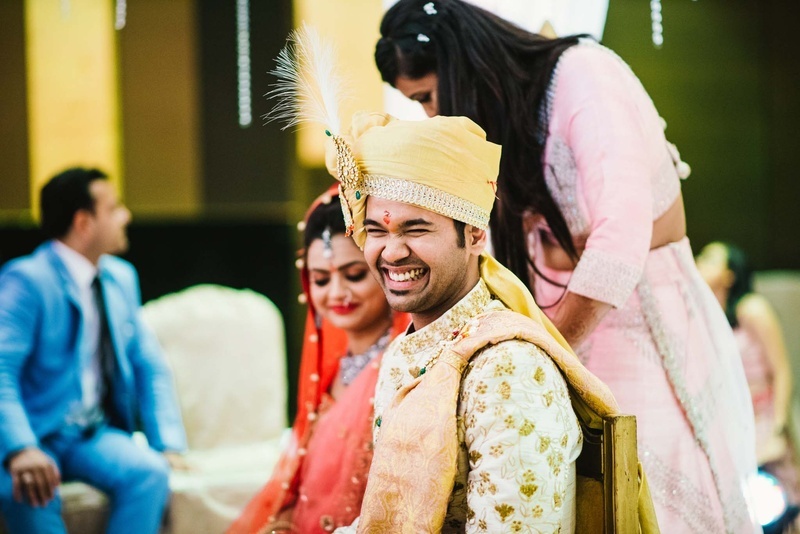 The happening groom with his quirky expressions at the wedding mandap!